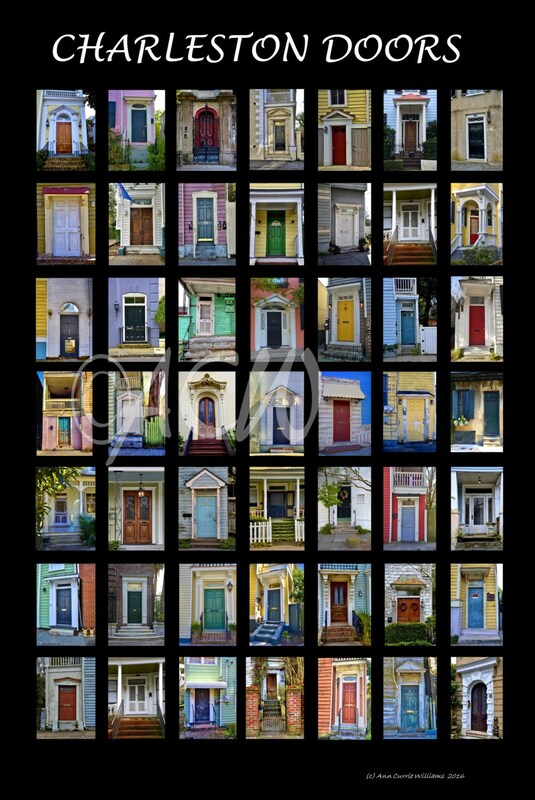 A full color 24x36 poster of a variety of the Charleston front doors. It is a collection of images of different doors, from stately front doors that can be seen in the well known South of Broad area to others from different parts of the old city. From the elegant to a few that have seen their better days, it makes for an interesting statement on the Holy City. Shipping on additional posters sent to the same address will only be .50 each after the initial purchase (for up to a total of 5 posters).